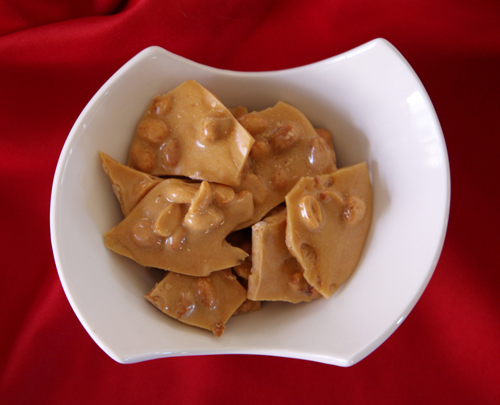 Ingredients include 1/4 cup water; 1 cup sugar; 1/2 cup corn syrup; dash of salt; 1 cup dry roasted peanuts; 2 tablespoons butter; 1 teaspoon baking soda and a candy thermometer. Mix first five ingredients in a sauce pan, cooking on high heat. 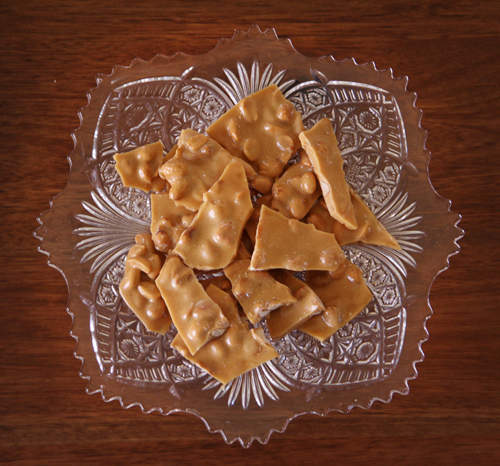 Stir constantly until it reaches 300 degrees on your candy thermometer. Remove from heat. Add butter, mix a bit and then quickly add the baking soda. Stir quickly, then immediately pour onto a buttered cookie sheet and spread out. 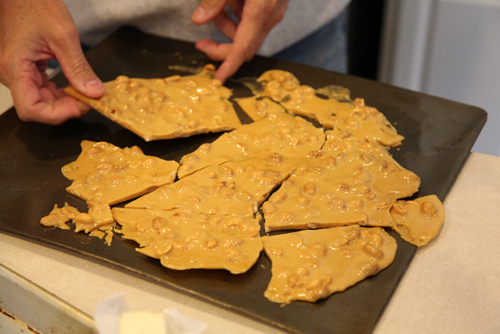 Let stand for 30 minutes, then simply break the brittle into pieces. And don't forget the pretty packaging. My mom and I found these festive cartons at a TJ Maxx in Greenville, SC. Michaels or Target may carry them as well. Have fun making this, your friends and family will be more than grateful...promise.